Bangkok has retained its place as the Top Destination in terms of Visitor Numbers out of 171 destinations in the Asia-Pacific region, according to the latest figures from the influential Mastercard Asia-Pacific Destinations Index 2017. 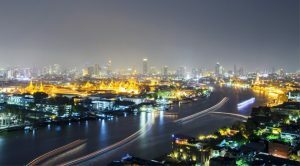 Bangkok also topped the list of total nights stayed with 87.6 million nights, showing that visitors to Asia-Pacific destinations are travelling for longer periods. In 2016, visitors to the region stayed for 1,768.7 million nights, compared with 1,023.1 million nights in 2009, representing an 8.1 percent Compound Annual Growth Rate (CAGR).